Skate Cape May 2011: About Us! 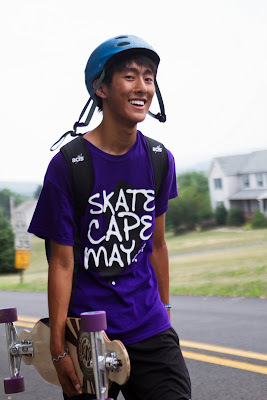 Hi, my name is Danny Brookes, and I'm one of the founders of Skate Cape May. I am 17 years old and attend West Morris Central High School. I really wanted to raise money for ALSF because I have a friend who has had her life turned upside-down, twice, because of the disease. I am very happy that Edwin and I figured out a way to help the community and do something we loved, skating. I have been skating for two years, on my beat up gravity mini-carve. I love skating and I really hope we meet our goal. Hey, my name is Edwin Zhang! I'm also one of the founders of Skate Cape May and our dynamic duo. Like Danny, I'm also 17 years old and attending West Morris Central High School. I've been skateboarding for about two and a half odd years, and I do a bit of "normal" skateboarding but I am also extremely passionate about longboarding, though it is not nearly as popular as skateboarding. 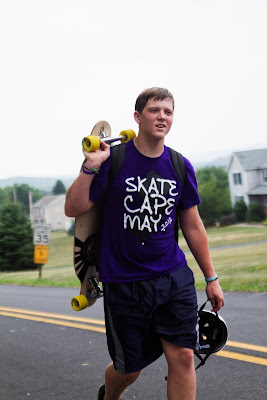 I'm quite pleased that through this fundraiser we were able to include something that I loved - skateboarding - and use it to help out in raising funds for Childhood Cancer Research. Such a cause has indeed hit home for me, as my cousin was diagnosed with leukemia in kindergarten. Though he's better now, it just goes to show how Childhood Cancer is indeed worthwhile and more prevalent than we might think.